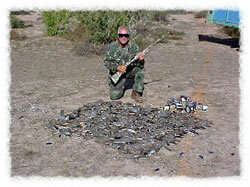 Bird Hunting Mexico, dove hunting & duck hunting at it’s very best! The Los Mochis/Ahome area of Sinaloa, Mexico offers the best on-the-wing hunting you’ll ever experience. 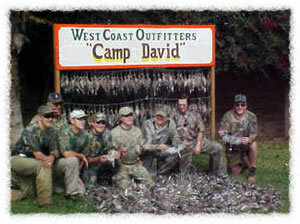 The finest in personal accommodations and services are provided by your host Dave Warner and his staff at Camp David. Contact us at 1-866-247-3464 for current duck hunting prices. Click here to learn important information you NEED to know about hunting in Mexico. Want more info? Need a brochure? Click here for our printable Brochure! 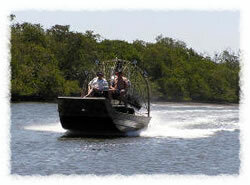 New big 2005-500 hp model airboat for your hunting pleasure in the 25,000 acre duck marsh. Simply the best of everything awaits you on your next adventure with Camp David-n-Mexico! 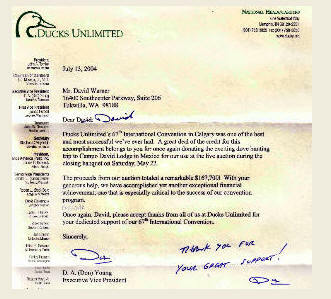 Ducks Unlimited has some nice things to say about David Warner and Camp David-n-Mexico. We truly believe that we offer the best hunting opportunities around and it’s nice to see that we are not alone in our thinking! Camp david in Sinaloa, Mexico is a once in a lifetime treat. Like no other full service on the wing hunting lodge you’ve ever seen. Morover, we believe that, as hunters, we must give something back. 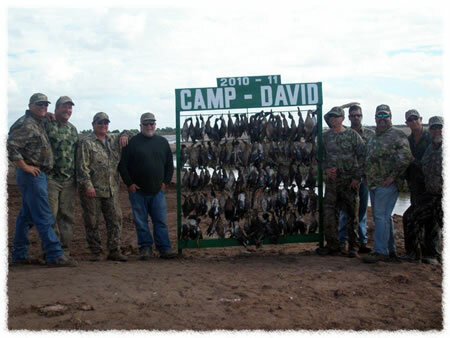 Camp David is a passionate supporter of ducks unlimited and has been awarded the silver teal award, the gold teal award, and the emerald teal award! Booking with us enables us to continue to help ducks unlimited and all the good work they do for ducks. Camp David offers a true “hunting lodge”! Just ask anybody who has ever stayed at a hotel here then stayed at our lodge. They will tell you they will never go back to the hotels! We have campfires at night and all the hunters get together and talk about the hunt. Our clients tell us time and time again that our lodge is a whole lot better than sitting in a little hotel room all alone!! But then we knew that and that is what is why we have the lodge! Our offering to you is more than a terrific hunting experience. It’s a terrific vacation getaway with options all around you that are designed to maximize your pleasure for the entire time you are here.both night and day! We truly love what we do and it shows in the way we treat our guests. If you want to rent the lodge for a private party hunt that is also available. Here at camp david all the drinks are free!! No going to a bar at a hotel and paying 5 bucks a drink!! $1795/person for four nights, three days, & six dove hunts. Includes lodging, and transportation to and from hunting grounds. All meals, and lodging. Combo hunts duck- dove $2895.00 all you need to do is get on the plane and come down here!! We know that getting there in comfort is important to you. We do our very best to make sure you arrive in comfort and safety. 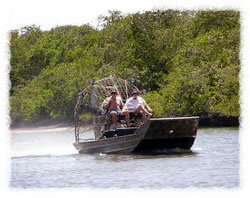 On the water and on land we use only the best in first class transportation. David warner is proud of his accomplishments that have helped hunters from around the world enjoy better hunting here in Mexico. 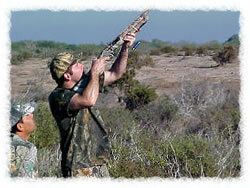 His projects and efforts have not only benefited his clients but they have benefited everyone who hunts in Mexico. He has spent the time when he is not hunting promoting causes that make hunting better here. David warner has donated over $850,000 to Ducks Unlimited! 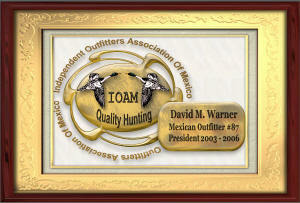 Dave is also proud to be serving as the president of the Independent Outfitters Association of Mexico and will serve through 2011 in that capacity. When you plan your hunting expedition in Mexico think about the quality of the hunt and the quality of the people who will be serving as your host and guides. Choose a quality outfitter for a truly outstanding experience that you will enjoy and remember for a lifetime. I’m a fully licensed Mexican outfitter (License #87) and I’m able to make your Mexican hunting license here at my lodge. Stick with the red white and blue. You will be real glad you did. Beware of booking agents who will say anything to get your business. Mexico is very beautiful and booking with a “quality” company like Camp David-n-Mexico can make your total experience perfect. There are some booking agents who are more interested in their needs than yours . 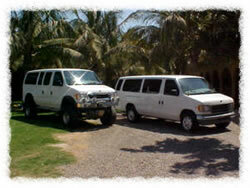 You can trust camp David-n-Mexico to exceed your expectations and give you the trip of a life time. Call me now! I’m David Warner at 1-866-247-3464 and I will personally do everything in my power to give you absolutely the best experience possible. Husbands and wives can both have a great time. Contact us and we can show you how to maximize your stay with us. We can make a super package deal for you where the husbands can hunt and the wives can take the copper canyon tour. This makes for lots of fun for everyone. Arrive and depart together or seperately..we can help to make your conflicting schedules work out. Call today and put us to work for you. See why our clients keep coming back year after year. As always we strive to exceed your expectations. Thanks for considering me when planning your next vacation adventure.